While some boomers are convinced smash avo on toast is the single biggest drain on your bank account, the honest reality is it’s most likely rent. Particularly if you live in a city like Sydney, where a private room now averages $288 per week— to which you can easily add 40% if you want anything close to the centre. And although living with others is by far the cheapest alternative, even sharing can be prohibitively expensive in some suburbs. So to save your bank balance, and ensure you have plenty of surplus cash to splurge at hipster cafes, we’ve built a Cheaper Suburb Finder. 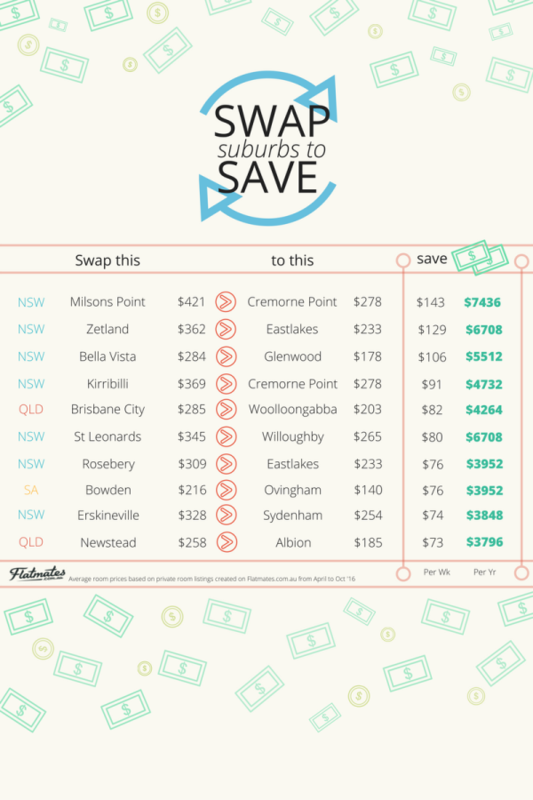 Simply search the suburb you want and we’ll show you what’s cheaper or dearer around it. Easy. 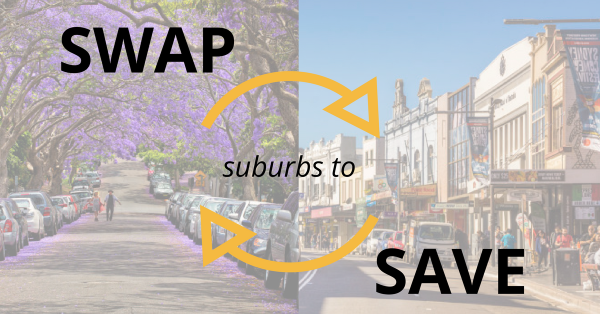 To show you it works, we’ve also put together a list of the top ten suburb swaps within 2km of each other that would save bulk dollars.